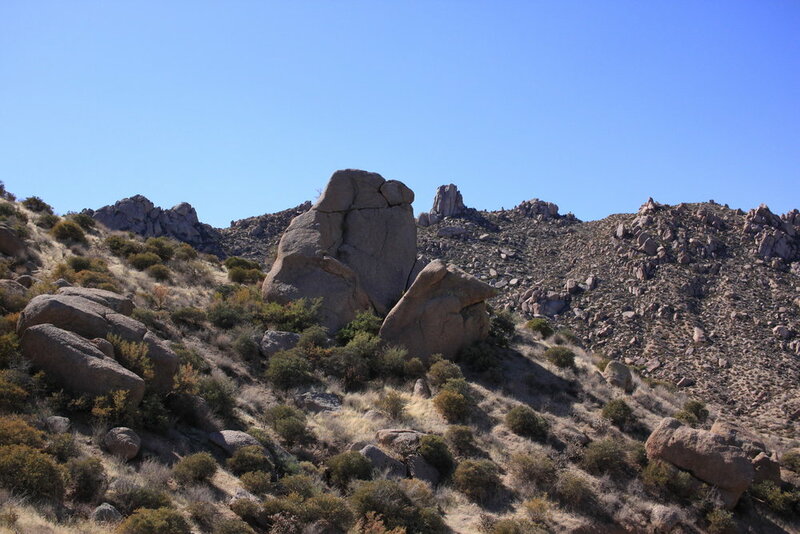 The Tom’s Thumb parking lot is tucked up against the McDowell Sonoran Preserve with plenty of parking and a great visitor center full of information and maps to bring with you. There are a lot of trail options, so make sure you grab a map so you don’t lose your way! The trail starts ascending as soon as you walk through the visitor center. Get ready for a leg workout! The trail can get steep in some places, so make sure you wear shoes with good traction! 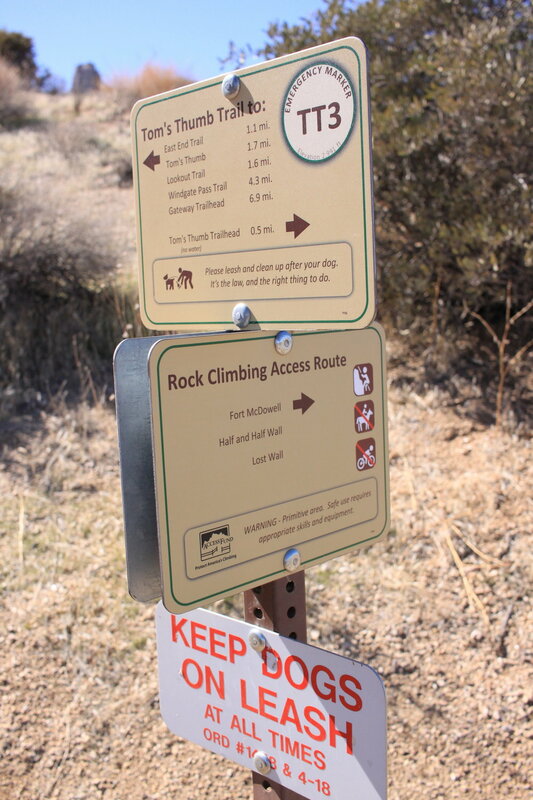 There are lots of trail markers along the trail and signs guiding you from lookout point to lookout point to give your legs a break from the hike. 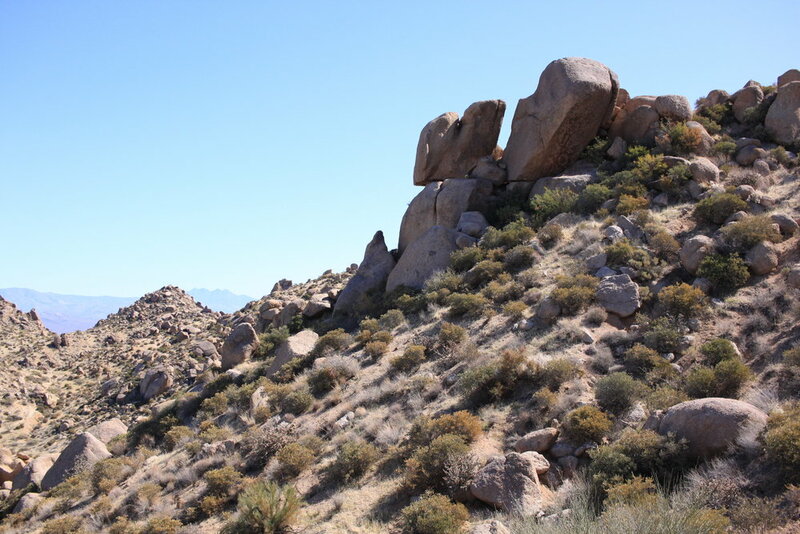 Take photos of all the rock formations and open desert landscape. 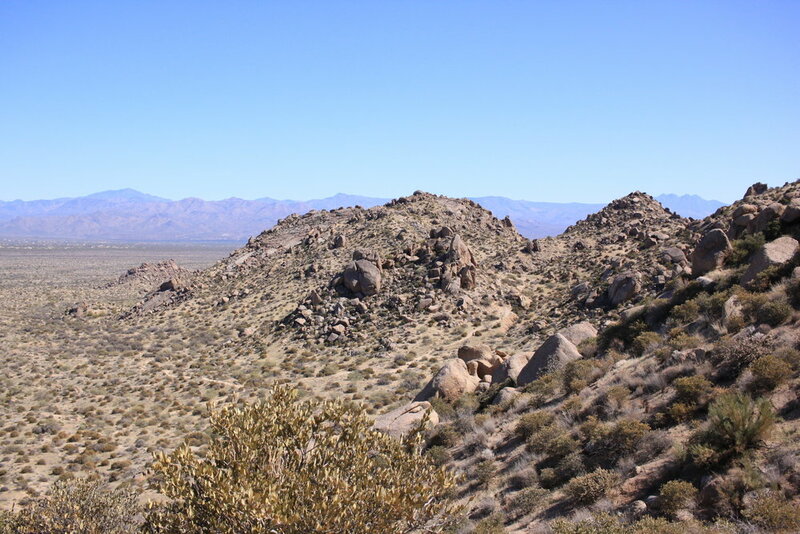 The Tom’s Thumb Trail will guide you up to the giant rock formation, but also to Lookout Viewpoint Trail and the larger 11mi loop through the wilderness. Make sure to bring lots of water as this trail does not offer much shade. Please follow Leave No Trace Principles by taking only pictures and leaving only footprints. Make sure to take water! This trail doesn’t offer much shade during the daytime and no water at the trailhead. Wear hiking shoes with a good sole! The trail can get steep with small gravel and descending without good grip can get tricky! This blog was thoughtfully written by Meghan Marriott. You can find her on Instagram at @Meghan.haley.